Veronica Brancato has been playing lacrosse since she was 7 years old, but it wasn’t until she had the opportunity to intern with the World Lacrosse Championships that she got to see the sport she loves take an international stage. The Sport Management major learned about the internship when one of her professors sent out an announcement calling for applications. 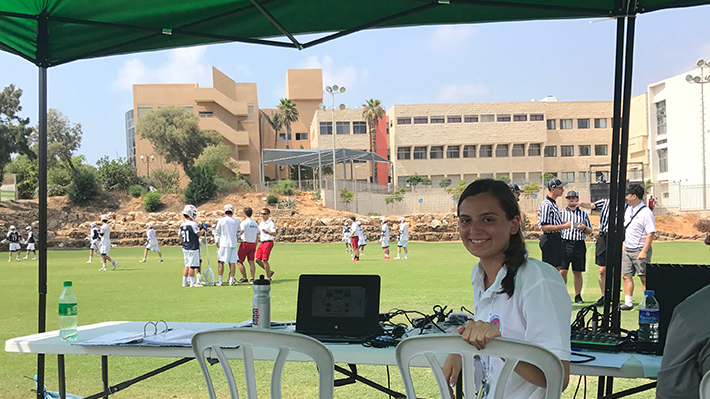 Shortly after, Brancato found herself on a plane to Netanya, Israel, where she would spend the next three weeks exploring the country, working with international lacrosse teams, and meeting ambassadors from all over the world. The first week of the internship allowed the students to explore the surrounding area, including an exploration of Masada, an ancient fortress overlooking the Dead Sea, take a dive in the Dead Sea, and visiting other historic landmarks such as the Western Wall in Jerusalem, the Church of the Holy Sepulchre, and the Holocaust Museum. A team of six LeBow undergraduates advised the National Lacrosse League on a feasibility study for a new expansion team on New York’s Long Island. While the Philadelphia Eagles were flying high to victory at the 2018 Super Bowl, Drexel Dragons were busy helping to promote the Eagles and plan Super Bowl festivities. LeBow College of Business hosted the inaugural Women in Sport Conference in February 2019.